I’ve been noticing lately that we’ve been relying on quick drive-through meals or takeout that Franklyn picks up on his way home from work more than I’d like to. Not only is it starting to get expensive, but it’s not the healthiest for the kids or me. 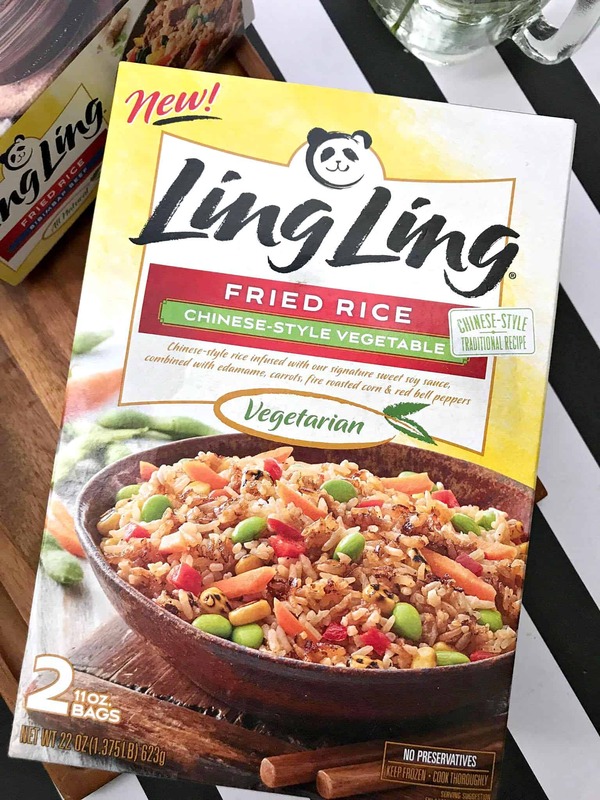 I’ve been looking for healthier frozen options for those busy nights and just recently I tried Ling Ling Fried Rice line with five unique dishes based on pure and authentic Asian inspired recipes from Japan, China, Korea and Thailand with no artificial colors, flavors or preservatives. We LOVE Chinese food, so I was immediately intrigued by the spicy Bibimbap Beef and the Chinese-Style vegetable (a great meatless dinner option) but they also have Yakitori Chicken, Yakiniku Beef and Thai-Style Chicken, all a delicious take out alternative: Ling Ling Fried Rice! Each Ling Ling package comes with two bags (serves about 4 people) and takes less than 10 minutes to make. That’s way quicker than heading out and picking up takeout and drastically cheaper too! 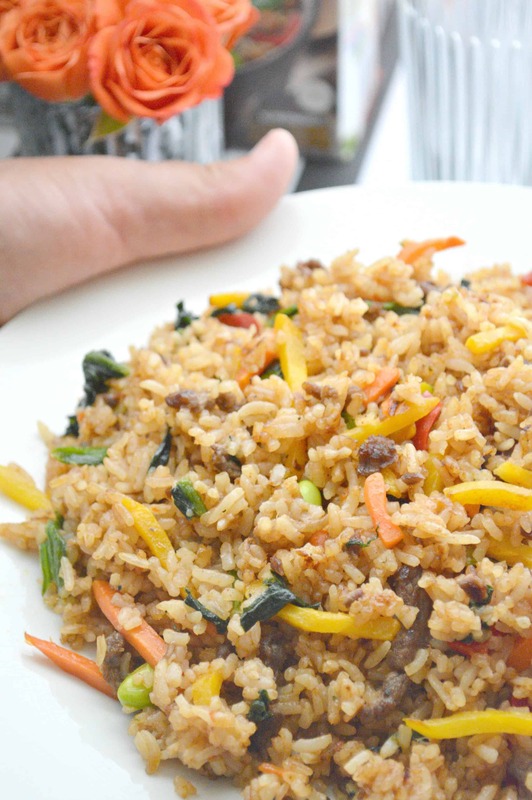 Each grain of rice is infused with Ling Ling’s signature sauces for incredible flavor in every bite and you can hardly tell the difference between Ling Ling fried rice and the one we normally order at the restaurant! It’s hard to pick which one I liked better because each one was so unique. The Bibimbap Beef has a spicy kick that we all loved (I served it with fresh garlic steamed string beans) and the Chinese-Style Vegetable had an incrediable taste and had edamames in it, which gave the fried rice a yummy crunch. If I had to pick a favorite, it would be the Bibimbap Beef fried rice, but only because it was spicy. 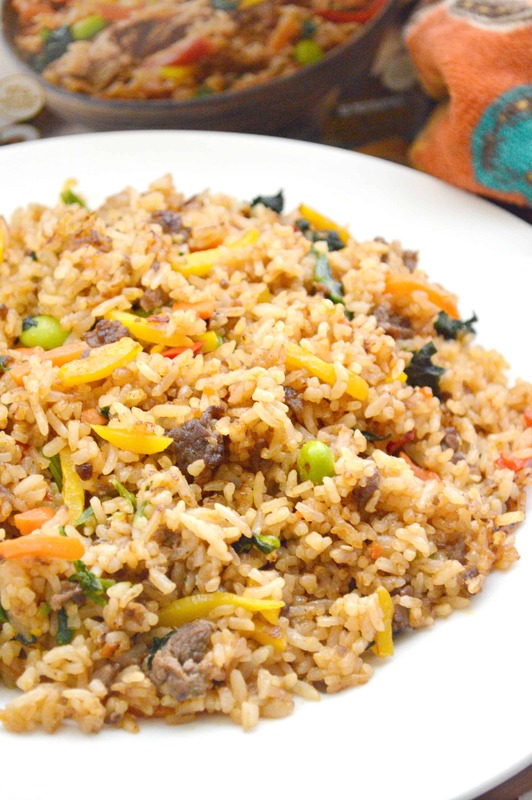 All in all, the Ling Ling Fried Rice line is a perfect alternative to takeout on busy nights and a great option to serve for dinner guests (its that good)! Easy to make dishes like these from Ling Ling allow me to be able to get everything done and still be able to serve my family a delicious, all-natural meal and that is just priceless, especially during the summer when we’re always out and about and I tend to run out of dinner ideas. Want to give Ling Ling Fried Rice a try? 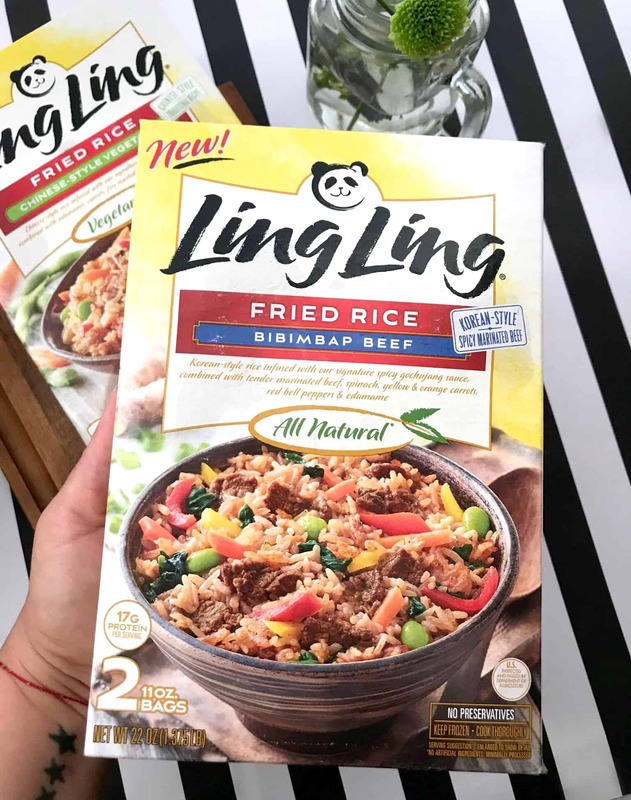 Click here for a $2 coupon that you can use at any retailer (we bought ours at Winn Dixie) where the product is sold (click here for a Ling Ling Fried Rice store locator). Get social: like Ling Ling’s Facebook page! Thanks you so much for the coupon! I love Chinese takeout and I am going to try this alternative which I’m sure costs way less!! Yum yum!! I love fried rice!! This. Is the first dish I order when we get take out. I haven’t heard of this brand or seen it here in Canada yet, will have to keep my eyes open for it! I am definitely going to check this out for my hubby! 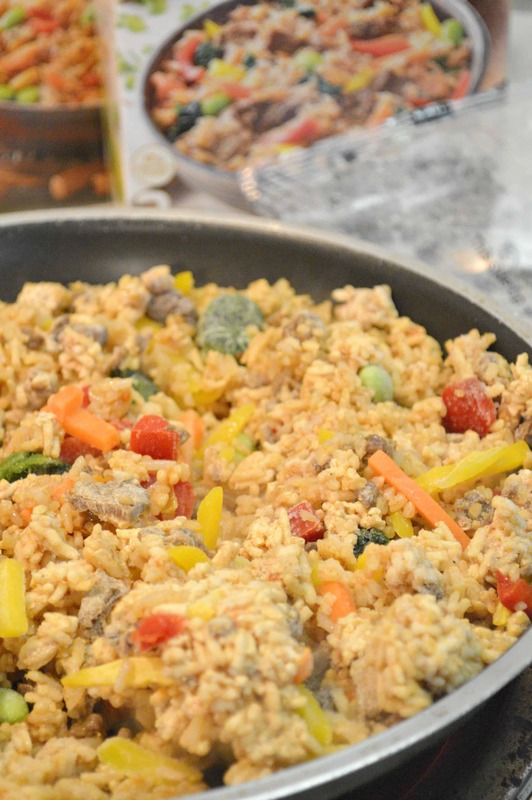 Fried rice is one of his absolute favorite dishes & this is a quick, economical alterative to take out. Awesome! We love fried rice and take out Chinese food pretty regularly. I’m definitely going to look for this – it seems like an easy and less expensive dinner, for sure! My son would love this. He loves a good frozen option to take out. Plus he is all about his Chinese food. This sounds perfect for a busy summer meal. We spend so much time running around to kids activities that it can be a struggle to get dinner ready, so I love this quick idea. What a great option to have in the house. My girls love Chinese food and this would be perfect for a night when we have been on the go all day. I have tried o. So many ocassions to make fried rice on my own. I get the soy sauce. But it never comes out right. So I like the idea of this. Will try! This looks great. I love that it is natural and there’s a vegetarian option. I love fried rice. my family would LOVE this! This rice looks so delicious! Thank you for the coupon! As a mom of 5 making quick dinners is so important. That looks amazing! This looks delicious! I love Chinese food, but takeout can be so expensive! The coupon helps too, thank you!